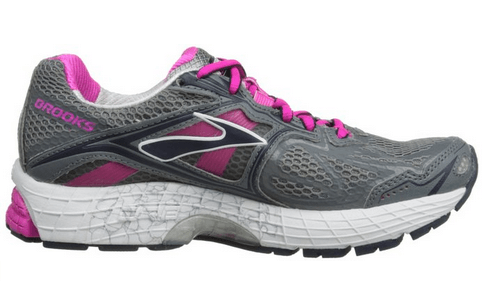 With the Brooks Ravenna 5, you will get a soft and supportive feel. This shoe offers the same custom fit, and comfort of the Ravenna generations. However, it has more improved features than Ravenna 4. 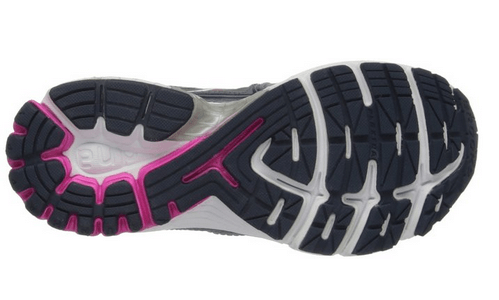 It is light, has the extra stability to suit daily runners. Also, it comes with bright new colors to match your workout suits. There are both men and women versions. 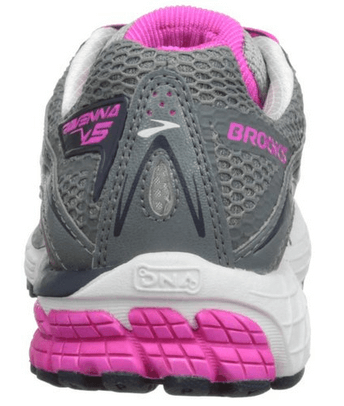 If you want support for mild pronation, this shoe is a great choice. It has smooth flex, updated crash pad, and molds to your foot. These features help to protect against injury while running. Adjustable saddle enhances a better fit. Mid-foot crash pad ensures smoother transitions. Omega flex grooves for natural forefoot motion. 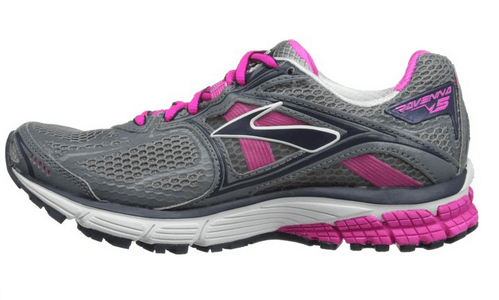 The upper of this Brooks Ravenna 5 comes with innovative features. It offers great comfort since it has the right amount of stability. 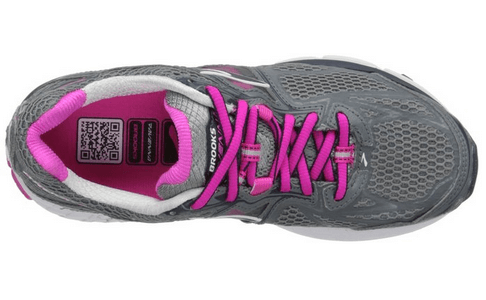 This shoe has the Element Mesh that is breathable and manages moisture well. Also, it has Synthetic Overlays for protection and secure fit. The adjustable saddle wraps ensure the snug fit and add an elegant look. Thus, you will wear a cozy and beautiful running shoe. The insole comes with Element Linings. Apart from moisture absorption, it offers comfort. BioMoGo material in the underfoot provides extra cushioning and comfort. The midsole features DNA foam technology and BioMoGo material. The dual cushioning technology will meet your running needs. It helps to offer runners responsive and customized ride. Brook reduces excess pronation by the use of Diagonal Roll Bar (DRB). DRB has thermoplastic polyurethane to offer midfoot support and torsional rigidity. Flextra in the midsole improves flexibility. This shoe comes with a redesigned sole. The outsole made of rubber, which makes the shoe flexible and responsive. Stable Pod style set smooth heel to toe transition and foot balance. The heel section of the outsole uses HPR Plus material for durability. This material also protects your shoe against tear and wear. Thus, you will use this shoe for long. The outsole design enhances shock absorption when your foot hits the ground. Hence, it helps you avoid injury in the arch area. This shoe features Omega Flex Grooves making it very flexible. The midsole has a Flextra material. This material improves flexibility in your midfoot. Strobe Last and the upper section are fixed full length to improve flexibility. The great upper section that will provide enough stability to your foot. It helps overpronator runners gain stability. These shoes offer the most need stability. It helps you prevent slipping or stumbling. An improved arch support makes your foot feel cozy. If you are a flat-footed runner, this shoe is a great asset. Stability and cushioning come in one dish! The men version of Ravenna 5 weighs 303 grams while the women weigh 235 grams. There are various features that help lessen the weight. First, the upper mesh features lightweight material. Also, the midsole uses BioMoGo making the shoe very light. If you want light running shoes, this shoe may be a good choice. Further, the sole is rubber, thus, light. The lightweight nature of this shoe helps you take full control when running. It results in a responsive and smoother transition. New design for extra cushioning. A. There are five colors to choose from. Q. Is it ideal for people with a high arch foot? A. Yes, they have a better arch support. If you are an overpronator, you require supportive shoes. The Ravenna tries to improve each shoe to meet such needs. The Ravenna 5 has great features to improve your performance in running. The upper section has mesh for breathability. The midsole has extra cushioning. The shoe design offers support and stability. Avoid bodily injuries by making the right choice. This model is a great purchase if you want supportive shoes. You can choose this running shoe or compare it with others in the same category. I hope the Brooks Ravenna 5 review will help you decide.